Next week, the tax unfairly restricting the craft beer industry will be history. However, it is the many years of work to this point that will enable the market of tomorrow. Imagine if the rate of GST you paid on buy milk or fruit juice varied according to the size of its container. Just say you bought milk in a two litre bottle with a GST rate of 10%, but the rate was 20% for a 1 litre bottle. Consumers wouldn’t accept this. Tax systems should be fair. That’s why it is great news that Tuesday’s Budget will reform excise arrangements relating to the sale of beer in Australia. The reforms will address the fact that the existing system taxes brewers unequally and is inhibiting growth of the craft beer industry in comparison to big breweries. Under existing arrangements, if you produce beer in a 50 litre keg, the rate of excise that applies is the less than that applying to the same beer in a 30 litre keg. This is unfair to craft brewers who tend to sell their product in smaller kegs, particularly when supplying small restaurants and bars in their local communities. This is ridiculous. It adds to the price of craft beers. With craft breweries popping up all over the country, including in regional areas, governments should be promoting the industry for the jobs it is creating for Australians. For more than two years I have been working with craft brewers, particularly in my electorate of Grayndler, to campaign for excise reform. We collected more than 1,400 signatures for a petition to Parliament. And when my colleague Joel Fitzgibbon and I raised the need for change in Parliament last year, our motion attracted support across the political divide. That’s why I am so pleased that Treasurer Scott Morrison has seen the common sense in our push and says he will level the excise playing field in the Budget. 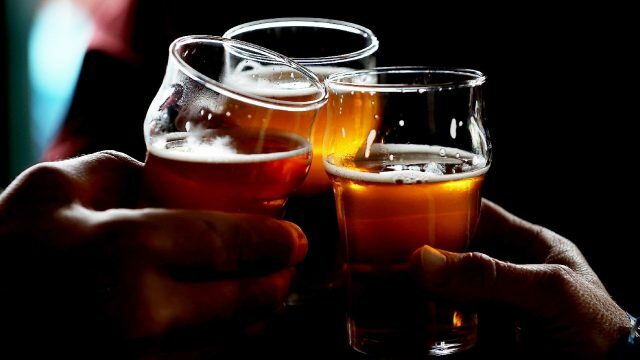 The Budget will also allow craft brewers to claim rebates for some of the excise they pay, which will have an even greater effect in promoting equity. This is a victory for common sense and for people power. The changes will be welcomed by craft brewers and drinkers. But more importantly, they will boost the national economy. There are at least 400 craft breweries in Australia, many of them in regional areas. All of them create jobs for locals. Craft beer is a growth sector. We should be promoting that growth because it will lead to the creation of more jobs and more economic activity. The old system was also holding back the growth of craft beer as a tourist attraction. In the same way that wine enthusiasts enjoy touring wine-producing regions to taste the product at the cellar door, craft beer aficionados like to visit breweries. In NSW alone, dozens of craft beer tours are available, including in my electorate, where people pay for a six-hour tour that includes lunch in a local pub and visits to three local breweries drawn from establishments like Wayward, Rocks, Grifter, Batch, Willie the Boatman, Akasha and Young Henry’s. Craft beer tours are also thriving in regional areas like the Hunter Valley, the Illawarra, Gold Coast/Byron Bay, the Mornington Peninsula and the Margaret River – communities that are always looking for new ways to attract visitors and create new jobs. We must get behind this new tourism sector. Indeed, most state tourism bodies are promoting craft brewery tourism. The Queensland Government is creating a formal craft brewing strategy to help promote jobs growth. Even Austrade, the Federal Government’s trade promotion arm, is in on the act, encouraging craft brewers to seek markets in Asia and promoting the industry’s export potential on its websites. One ever-present feature of life in the 21st century is that the pace of change is always accelerating. That requires Governments to be alert to the emergence of new industries and to remove unnecessary obstacles to their growth. The rise of the Australian craft beer industry has been rapid. In only a decade or so it has grown from humble beginnings into a multi-billion dollar business that is revitalising communities and creating jobs around the nation. It is very good that the Federal Government is moving to keep up. Anthony Albanese MP was re-elected the Member for Grayndler at the September 2013 election and is currently the Shadow Minister for Transport and Infrastructure, and the Shadow Minister for Tourism. Anthony has been a Member of Parliament since 1996 and believes strongly in the need for Government to invest in local communities.